What a day, what a performance, simply the best ever, bar none! First of all, I hold my hands up and admit that I got it wrong, I really didn’t think we had a chance against this Dublin side. To be honest though I wouldn’t mind being wrong every week if it meant that we were going to get performances like the one these boys produced on Sunday. I have been to Croke Park so many times in my lifetime. In 1992 I was there as a six year old boy and it was great, in 2012 I was at every game and they were all fantastic but this perfromance tops the lot for me I have to say. That single sentence just sums up what Jim McGuinness and this group of players are all about. McGuinness is able to instill a belief in the players and when this is done, then it dosent matter what anybody else tries to do, we are not losing, it’s as simple as that. I said here last week that if we can beat the Dubs it would be Jim McGuinness’ greatest ever achievement and I stand by that. McGuinness will no doubt play it down by saying that there were no medals handed out after the game and rightly so, but deep down he will know that this is his greatest win ever. Jim McGuinness is a god in my eyes but as he always points out, he couldn’t do this without the players. Their commitment, attitude, desire, skill and sheer willingness to give every drop for their county makes us all so very proud to be from this great county. As I have said before, these boys owe us nothing after what they have done the last few years, they deserve all the credit in the world, we are very lucky to have them. I thought Paddy McGrath was immense at corner back, big Neil Gallagher was outstanding and put in some shift as they all did. Ryan McHugh is now nailed on for young player of the year and the way he took his scores was incredible for one so young. 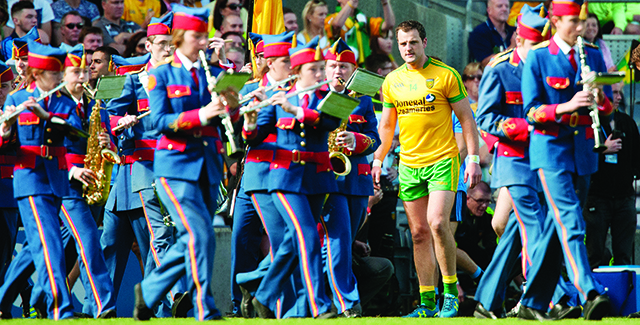 For me though, the main man was Michael Murphy yet again. Leadership, football intelligence, left foot, right foot, ferrari engine, power, strength and balls of steel. The big Glenswilly man is the best player in the country and the best player Donegal has ever seen. By the way I want to say a massive congratulations to the minors who were superb and I was over the moon for big John Campbell. To score 1-2 against Dublin in an All Ireland semi final is some achievement. There is a massive Inishowen connection with both teams. The minors have John Campbell, Caolan McGonagle, Tony McClenaghan, Danny Monagle, Ciaran Diver, Robert Farren, Sean Noonan and Dave McLaughlin all involved in some capacity while the seniors have Darach O Connor, Declan Walsh, Stephen McLaughlin, Paul McGonigle, Michael McMenamin, Dermot Simpson and Charlie Molloy as part of their set up. All I can say is well done each and every one of you and thanks for a wonderful day, one which we will never forget. Role on the 21st, anybody got a spare ticket??? Okay, Man Utd have signed some superb attacking talent. Di Maria and Falcao are two of the best in the world at what they do and when you add the likes of Rooney, Van Persie and Mata to that mix then they have some options going forward. The big question for me though is why the hell did Van Gaal not try and break the bank for a world class centre half? This is what he is so obviously lacking and he can have all the firepower in the world but if they are leaking goals as they have been this last year and a bit, then they are in big bother still I’m afraid. Brendan Rodgers has taken a massive gamble at Liverpool in my opinion with his signing of Mad Mario Ballotelli. Yes, people will say that he’s cheap in the current market at £16 million and I would agree entirely as I believe the mad man has the potential to be really good. The risk in my view is not so much the £16 million, it’s the fact that more experienced managers than Brendan Rodgers have tried and failed with the Italian and I really believe that it is a decision that could make or break Brendan Rodgers at Liverpool. Ballotelli will either be brilliant or he will destroy everything that Rodgers has worked so hard to build up over the last two season’s. Arsenal have signed Danny Welbeck from Man Utd for the same money and to be honest, the jury is still well and truly out with me when it comes to Welbeck, Arsene Wenger will do very well to make a top class player out of him in my view. He has still failed to sign a real hard man in the middle of the pitch and I feel that may very well be their downfall come the end of the season. Jose Mourinho got rid of Fernando Torres and I can understand that and I feel that he also done a good bit of business by getting in Loic Remy as a replacement. Chelsea look strong all over the pitch at the minute and didn’t really need any more signings so Mourinho will be quite content with his lot. Man City got rid of Negredo which I thought was a little bit surprising given the fact that Aguero is injury prone and that would only leave them with Dzeko and Jovetic. All in all I would say Chelsea are the most content and by the way Paul Lambert, what are you thinking signing Tom Cleverly? And after such a good start too, with Cleverly in the side things can only go down hill from here. Ireland need three points in Georgia! The boys in green face a trip to Georgia this weekend as we look to get our qulifying group for Euro 2016 off to the perfect start and I feel that anything other than three points out there will not be good enough. Germany will top our group – of this there is no doubt, so I feel it will be a shootout between ourselves, Poland and Scotland for second place in the group. If this was a Trapatoni team, he would happily set up for a draw and come back home delighted that we had secured a point against the mighty Georgia. 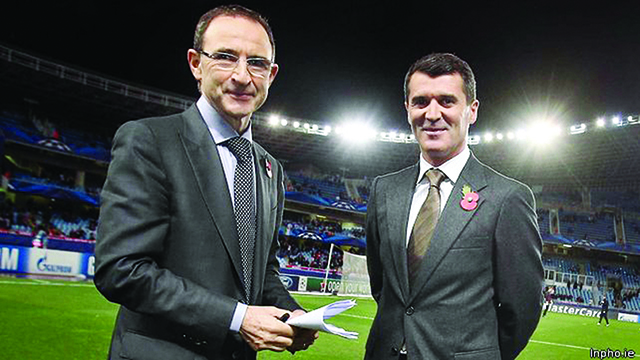 As I have said before, I have my reservations about the ability of Martin O’Neill to manage at international level but I am certainly prepared to give him a chance. I want to see us going at teams like Georgia from the very start and attacking in numbers. I don’t want to see one man up front and the rest behind the ball. Please Martin, just go out there and go at this crowd early on and get us off to the best possible start. After all, there are 24 teams going to France in 2016 and there is no reason whatsoever that Ireland shouldn’t be there, given the group we are in. Three points lads, nothing else! !